For a trouble-free move to Santa Margarita, Meathead Movers is the company for you! 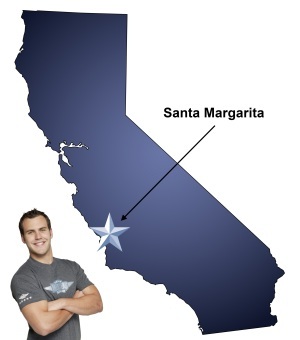 Our professionally trained student-athlete movers are ready to get you into your new Santa Margarita home. If you are moving to or from anywhere in Santa Margarita, we are the moving company for you! Our professionally trained student-athlete movers and our moving concierge service are here to help you with every stage of your move in Santa Margarita. Santa Margarita is a beautiful city on the California Central Coast. It’s a serene and close community that offers its residents everything from relaxing shopping and fine dining, to exciting zip lining and safari adventures. If you are considering a move to Santa Margarita, Meathead Movers is here to help. Our moving company specializes in local, long-distance, and commercial moves to, from, and within Santa Margarita. We also provide reliable packing, storage, on-site relocations, and our distinctive moving concierge service, which connects you with local service providers. All our student-athlete movers are thoroughly screened and trained before their first move. With branches not just in Santa Margarita, but all throughout California, we are your one-stop resource for all your moving needs, no matter where your California move takes you. In fact, you can see what your neighbors in Santa Margarita have to say about us. With our 100% satisfaction guarantee, the only thing you have to lose is the stress that comes from moving! So contact us today for a free no-obligation moving quote and to learn how we can help you on your next move! Moving to Santa Margarita? Here are some helpful resources. View more Santa Margarita resources. You moved my son’s family. You are very organized in your correspondence and communications. They were very pleased with the move. Thank you. Your movers are always exceptionally friendly and professional, and put the homeowner at ease right away. The extent of their training shows in how they conduct themselves, and they handle every situation with aplomb. Professional, friendly, conscientious, and polite.